Elegant and sophisticated, it's a piece you'll want to wear every day. This new addition to the Anita family, this watch features a three-piece case construction and sub-dial to showcase the seconds, with raised numerals at the edge of each index. 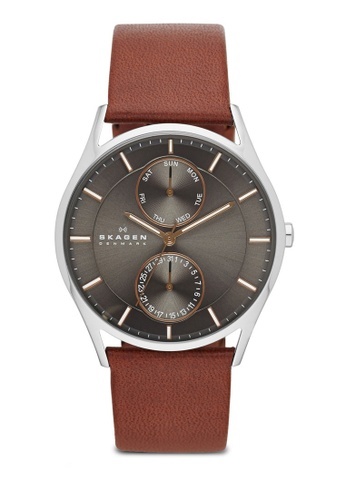 Can't find Skagen Holst Multifunction Leather Watch SKW6086 in your size?